Top or flop? What has been in the making for a while seems to have become a reality now. Smartphone and laptop technology merge and become one. By now, the first benchmarks for the Snapdragon 835 installed in an Asus NovaGo Windows laptop are available. Here is a first detailed benchmark analysis. To date, mobile Windows devices have been rather boring in terms of their performance. A perceived 95% of the available devices are based on Intel processors whose further development has advanced in baby steps during the last few years, as had to be expected. AMD played only a minor part, almost exclusively offering low-priced entry-level devices. However, AMD has now shown a strong sign of life by introducing the first laptops based on Ryzen mobile (see our test here). 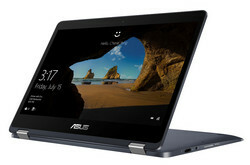 Subsequently, we will analyze the first published benchmarks based on a pre-production unit of the Asus NovaGo TP3700QL. The tests were conducted by our colleagues at Ultrabookreviews.com whose full review can be found here. Please note that we did not have an opportunity to verify these results. 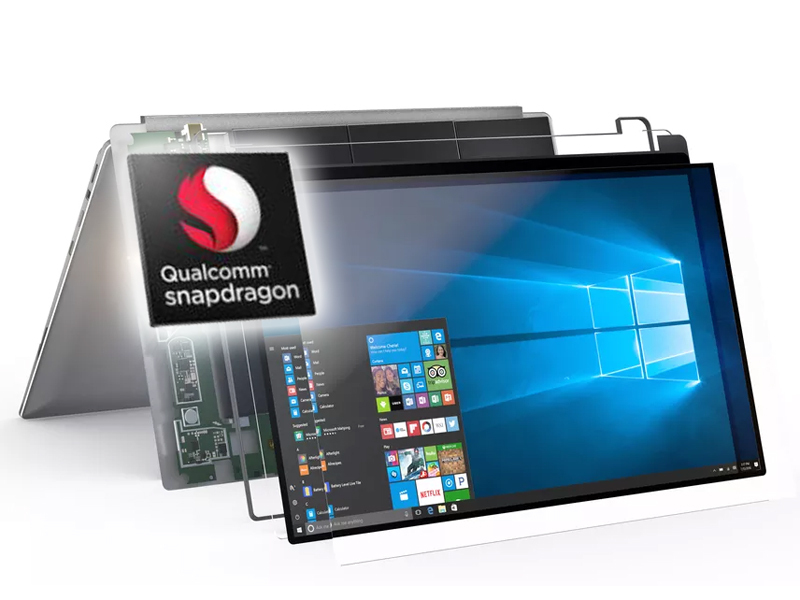 Furthermore, the early state of the test system and the required emulation of the Windows benchmarks mean that changes are likely to happen up until the release of the final Snapdragon laptops next year. We will start with the 3DMark 11, a benchmark that is commonly used for Windows devices that focuses on a laptop's or convertible's GPU and CPU performance. Our database contains around 2500 entries for it. Ultrabookreview published a score of 826 points (performance) for the overall score, 786 points for the GPU score and 1493 points for the CPU-driven physics score. The 3DMark 11 score for the GPU is showing better results, though. At 786 points, the Adreno 540 graphics unit is more or less on a par with Intel's HD Graphics 505/515. The current HD Graphics 615 found in the y-series of processors, installed in the Eve V, can surpass this score by about 60%. At least in comparison to the N2920 Bay Trail platform whose CPU performance was roughly equal in this test, the Adreno 540 can triple the GPU score. As mentioned before, the early state of the pre-production model and the required emulation should be noted for this benchmark and the following ones. In addition, Qualcomm runs the Snapdragon 835 with 2.6 GHz instead of 2.45 GHz standard clock speed in the NovaGo. This results in an advantage of about 5% in comparison to the standard chip. For a closer look, benchmarks from the most recent 3DMark benchmark test are available as well. Their Sky Diver Graphics score shows that the Asus NovaGo is mostly equal to devices utilizing the Intel HD Graphics 505 or 515. The Fire Strike benchmark confirms this observation. Because of its good GPU score, the NovaGo reaches the level of the latest generation of budget Windows convertibles such as the HP x360 11 G1 for the overall score. Unfortunately, there is no exclusively CPU-based value available for this benchmark. Geekbench can already be run on smartphones and PCs alike and has made a first comparative approach possible. Right away, the difference between our benchmarks for the latest flagship smartphones in comparison to the Asus NovaGo results posted by Ultrabookreview is obvious. The recent OnePlus 5 is utilizing the Snapdragon 835 as well, but is able to more than double the result of the Windows convertible in this test. This could be related to a necessary emulation since it can be assumed that Geekbench cannot be run natively yet on the ARM Windows platform. A few browser benchmarks for the Asus NovaGo have been published already as well. The results of these benchmarks match those of other devices based on the Snapdragon 835. Emulation is not necessary in this case, but the benchmarks hardly allow conclusions regarding the net CPU and GPU performance. With the exception of the SunSpider test, a clear dominance of Intel-based Windows devices becomes apparent. A few browser benchmarks for the Asus NovaGo have been published already as well. The results of these benchmarks match those of other devices based on the Snapdragon 835. An emulation is not necessary in this case, but the benchmarks hardly allow conclusions regarding the net CPU and GPU performance. With the exception of the Sunspider test, a clear dominance of Intel-based Windows devices becomes apparent. It cannot be said often enough, so it will be repeated one last time for the final verdict: The benchmark results published by Ultrabookreview.com are based on a very early pre-production unit of the Asus NovaGo laptop/convertible. An emulation is necessary to run classic x86 applications, which can result in performance loss for benchmarks as well as for applications started by the user. What we can already tell based on the available results: The pure CPU performance of the Qualcomm Snapdragon 835 SoC/CPU appears to be clearly behind recent chips of the Intel Core Y-series (4.5W TDP). However, the graphics performance of the integrated Adreno 540 graphics accelerator seems better. Assuming that the results so far will not change significantly until the release of the final product, one might indeed call it a repetition of the netbook dilemma. 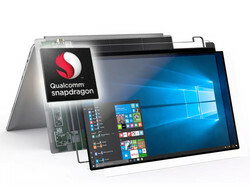 Users buy a Windows device under the assumption that they receive a full-featured, productive machine, but they will quickly reach their limits. Heavily CPU-dependent tasks in particular could overwhelm the Snapdragon platform and result in an impediment of the perceived speed. And: No, this is not about complicated calculations performed by specialized software. Even everyday tasks like intensive web browsing on numerous tabs, background processes such as updates, anti-virus scans or other tools, or simply the frequent starting of applications or loading of files could suffice. Exactly these cases can lead to noticeable delays for entry-level Intel processors and the CPU part of the Qualcomm 835 CPU does not seem to be able to transcend this level of performance. Furthermore, the question remains how big an advantage the "always connected" feature granted by the LTE modem integrated into the SoC really is. Basically, any recent smartphone can provide internet access for a classic laptop within seconds and in areas with bad net coverage, the integrated LTE modem will not be of much help either. Even though conventional laptops with an integrated modem were desirable a few years ago, especially for business use, this feature is rarely seen nowadays. Besides, an additional SIM can cause higher costs for the user. That leaves the battery runtime as most important asset. First manufacturer's specifications spoke of over 22 hours of battery life while playing videos (on reduced brightness). This would mean that less than 2.5 watts suffice for the NovaGo. However, it is questionable how long the battery runtime is under load or in important everyday scenarios like browsing the web. The last issue is the intended price range of 600 to 800 Euros, depending on the configuration. The basic version with 64 GB storage will not suffice for long for the average Windows user. Judging by the performance shown in the benchmarks that have been published so far, 800 Euros for the variant with 256 GB memory do not really sound like a good deal, especially since we are not talking about 256 GB SSD storage, but the cheaper UFS 2.0 flash memory. > Notebook / Laptop Reviews and News > Reviews > Asus NovaGo Windows Laptop with Snapdragon 835 Review: Repetition of the Netbook Dilemma?